Informal settlement upgrading has been a major focus for PPT since its establishment. PPT has played a significant role at both the project and policy levels over this time. Initially PPT’s focus was primarily on full upgrading, however over time its approach has become more nuanced. PPT recently completed a ‘rethink’ of the national housing programme for the National Department of Human Settlements’ (NDHS) Research Directorate in collaboration with Urban LandMark (ULM). The final report was submitted in November 2012 although none of its contents are publically released. It will however serve as one of many possible inputs into a Green Paper on housing which is likely to be developed during 2013. The Project arose from concerns within Government as to the current trajectory and effectiveness of the national housing programme which are shared by many within civil society and the private sector and relate principally to what is typically referred to as the ‘un-sustainability’ of the current programme, not only in respect of its affordability to the fiscus but also in respect of the nature of the socio-economic benefits and leverages which are being achieved. Despite increasing housing expenditure and extensive delivery of state-subsidised houses, significant backlogs persist, access to economic opportunities and social facilities is often not improving, subsidised housing quality is variable and there is a prevailing sense of beneficiary passivity. There is also broad-based recognition that certain fundamental human settlement challenges are not being adequately addressed or accommodated such as informality, spatial restructuring, land-access for the poor, and affordable rental housing. These persistent challenges are recognised as posing not only developmental but strategic threats to South Africa if they are not more effectively and rapidly responded to. Against this backdrop, the Project was set the ambitious goal of rethinking the national housing programme yet it was also limited in its scope and budget and based only on a desktop review of existing materials and bodies of work. It was therefore seen as a ‘think-piece’ and one of many inputs into the afore-mentioned Green Paper process. The research report was arranged in four main parts: an ‘Introduction’; a ‘Situational Analysis’; a ‘Problem Statement’ and a ‘New Housing Framework’. It also contained, as Annexures, three source reports produced by the project team. These assessed the current housing programme; profiled selected local and international experience; and considered various dimensions of the future which needed to be taken into consideration. Whilst its content cannot be released, the proposed new Framework proposed by the Project Team in many respects represents a significant if not radical departure from the status quo in several key respects. The members of the core professional team were: Mark Misselhorn (PPT – Project Leader); Mark Napier (Urban LandMark – Research Leader); Susan Carey (independent consultant – researcher); Susanna Godehart (independent consultant – researcher); Sarah Charlton (independent consultant – researcher); and Ishmael Mkhabela (independent consultant – workshop facilitator). In addition, the following experts served on the project’s Reference Group: Philip Harrison, Edgar Pieterse, Dan Smit, Stephen Berrisford, Kecia Rust, and S’bu Zikode (with additional stakeholder representation determined by the NDHS during a variety of meetings). 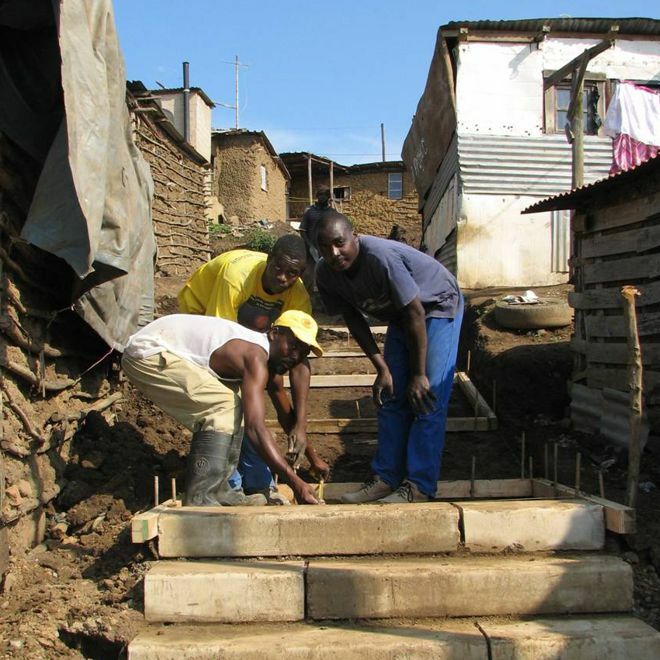 A comprehensive Informal Settlement Development Strategy was developed by PPT for the KZN Department of Human Settlements (DHS) in 2011 and was adopted by them in 2012. The Strategy is apparently the first comprehensive provincial strategy of its kind in South Africa. 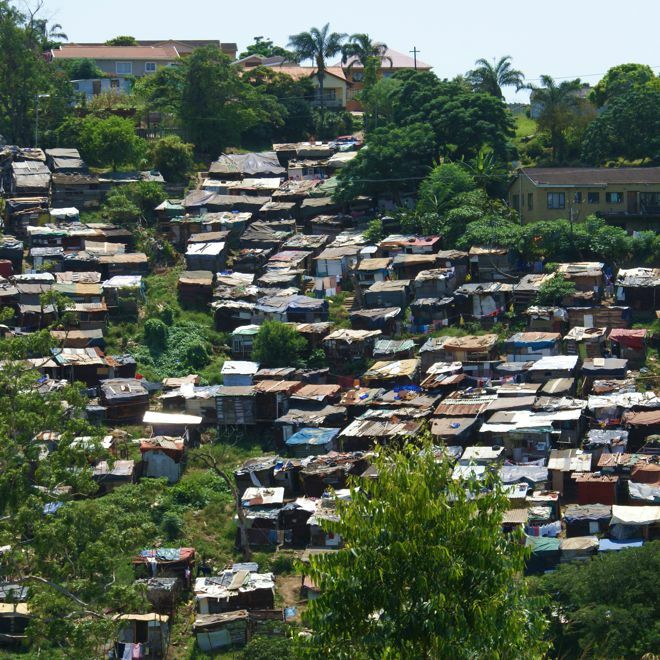 There are currently estimated to be at least 306,076 households residing within informal settlements in the Province, with 95% located within 10 Municipalities with 78% in eThekwini. It promotes in-situ informal settlement upgrading (as opposed to relocations). It promotes a range of informal settlements responses. It promotes a rapid, broad based delivery of basic infrastructure to augment conventional housing delivery. It promotes systematic project preparation and community participation. It provides practical toolkits to assist municipalities and their service providers. It promotes rapid assessment and categorisation in order to obtain adequate desktop profiles of all settlements and to determine the appropriate developmental responses which are required (given the lack of adequate information on informal settlements in most municipalities). It includes a comprehensive monitoring and evaluation framework to be utilised by the Province in measuring the effectiveness of the new Strategy. Tenure and land: The appropriate minimum form of basic tenure to accompany interim services is settlement level administrative recognition (as opposed to individual tenure). Land acquisition should not be an essential pre-requisite for basic services delivery. Grant instruments: The UISP grant instrument in its current form is incompatible with the rapid delivery of interim basic services and requires review. Land acquisition funding: Funding for land identification and acquisition and associated professional services is lacking (inaccessible) and this must be addressed. Such funding needs to be made available in well in advance of housing subsidies. Capacity: It recognises that the capacity of the State is limited and that the leverage through procurement of private sector and NGO capacity is critical. Preparation funding: The release of preparation funding to Municipalities to procure the necessary private sector / NGO capacity to prepare projects of various types is a critical success factor to order to ensure bankable, viable project pipelines. Basic road and footpath access based on a prioritised road hierarchy and informed by basic master-plans for the 15 precincts in which the bulk of informal settlements are concentrated. Sanitation via communal sanitation blocks which are connected to water and sewer mains . Electrical supply to individual homes. Standpipes for water supply (the norm is one standpipe within 200m of every dwelling). Key social facilities based on plans currently under formulation (e.g. police and fire stations, clinics, schools, sports fields, community halls). Participative local economic action plans. Livelihoods interventions to empower residents to better optimise their existing assets and resources and become more resilient in the face of external shocks and stresses (and focussed on such issues as HIV/AIDS, food security, and fire protection). Fruit tree planting and vegetable gardens. 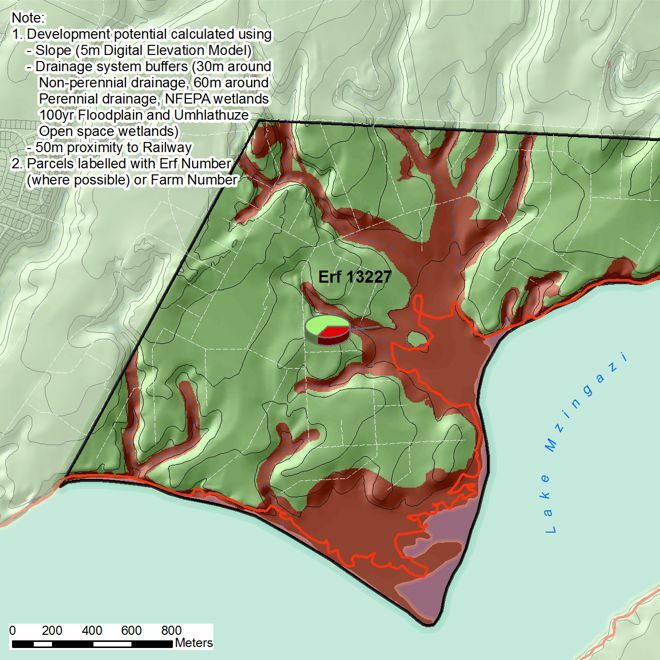 PPT has played an extensive role in the conceptualization and preparation of this innovative and important project. The project is a good illustration of how systematic project preparation can enable better and more innovative developmental solutions such as better integrated planning, alternative (more pedestrianised) planning layouts and alternative housing typologies (in the form of low cost double story units arranged in spatially efficient yet people-friendly ‘superblocks’). The project will upgrade several informal settlements located within the Kenville precinct which has a prime location within eThekwini (Durban), being located approximately 7km north of city’s CBD. It is home to a population of approximately 7,500 households of which over 2,500 reside in six ‘infill’ informal (shack) settlements. The area is predominantly a low-middle income residential suburb and abuts the Springfield Park light commercial and light industrial precinct. It is however characterized by steep slopes, challenging geotechnical conditions and limited developable land relative to the existing informal settlement population. Preparation of the Kenville Project was undertaken at precinct level in order to enable more integrated development and to optimize the resultant urban form. This was especially important given the prime location of the site within the City and its close access to job opportunities and other amenities. This integrated precinct level approach is in contrast to the usual trend in South Africa in terms of which informal settlements tend to be dealt with from a narrow housing perspective and in isolation from the greater urban environment in which they are located. Significant progress has been made in terms of promoting more effective and appropriate responses to the challenges posed by informal settlements. For more information please refer to the Knowledge Resources section of this website. 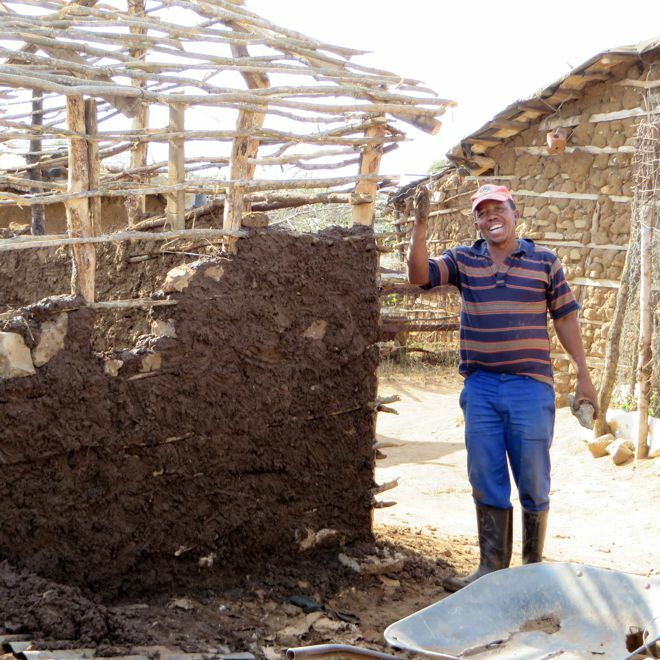 Click here for PPT’s Informal Settlement Upgrading Toolkits and further knowledge resources. COPYRIGHT © PROJECT PREPARATION TRUST 2016. ALL RIGHTS RESERVED.